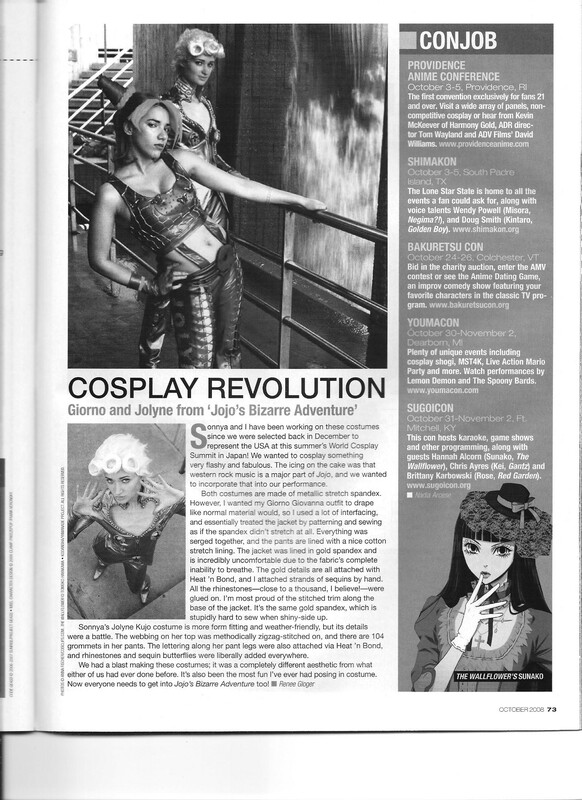 A page included because it talks about a swag pair of JJBA cosplayers representing the US at the world cosplay summit. This entry was posted in Old Magazine Articles and tagged Borderline Plagarism for the Freedom of Information, Cosplay, Jojo's Bizarre Adventure by torisunanohokori. Bookmark the permalink.